The Mid-Atlantic and east coast are major hubs for economic activity, and as a result there is a high demand for trucking and freight shipping in this region. With Interstate 95 serving as the main artery for the region, there’s no shortage of goods to be moved up and down the coast and throughout the region. If you’re looking for someone to move those goods, Evan Transportation is the solution for you. Strategically based in Baltimore, Evan Transportation is a trucking and freight shipping company for the Mid-Atlantic region of the east coast. We’ve been in business for more than 20 years, surviving the ups and downs in the economy to continue to bring you great service. Our drivers are experienced, veteran personnel, most of which are TWIC certified. We service the Delmarva area as well as Pennsylvania, New Jersey and West Virginia. This allows us to get most of our shipments to their destination on the same day. We also service the Mid-Atlantic ports with intermodal service and intermodal drayage. We transport everything from industrial materials to food and beverages to retail. For all of your freight shipping needs in the Mid-Atlantic, you can trust Evan Transportation as your trucking company. If you’re looking for a dependable company to ship your goods on the east coast, Evan Transportation is here for you. Evan Transportation is a trucking company based in Baltimore on the heart of the east coast. We ship within the Delmarva area, as well as West Virginia, Pennsylvania, and New Jersey. This allows us to deliver most shipments on the same day that they’re picked up. When you need fast shipping of your goods, you need a reliable, local trucking company. Not only that, but you need a company with experience. Evan Transportation has been in business since 1992, and we’ve made it through economic times both good and bad to continue to serve you today. Most of our truckers are TWIC certified, and we also offer intermodal service and intermodal drayage. We also offer route deliver for your timetable. 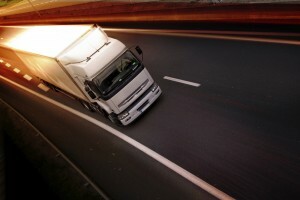 A little more than 2 and a half truck cargo thefts occurred every day in the United States last year. In 2013, there were 951 thefts, the same number of thefts there were in 2012, which was a record high for the industry. These numbers come from a new FreightWatch International report. Cargo thieves increasingly targeted trucks carrying pharmaceutical loads (50% increase) and food and drink loads (34% increase, which excludes alcoholic beverage loads). However, while pharmaceuticals only accounted for 4% of all loads stolen, food and drink accounted for 27%. According to FreightWatch, this is because security for food and drink loads is often more lax than for other loads such as electronics. Still, this hasn’t deterred thieves from going after electronics as well. Electronics accounted for 14% of all loads stolen, and at an average of $397,000 per load, were the highest in average stolen load value. As far as where and when the most loads were stolen, California and Texas were the top two spots for cargo theft, with 259 and 123 loads stolen respectively. Friday and Saturday were the most popular days for thefts, and June and September were the months with the highest activity. The amount of traffic on the nation’s roads is increasing, according to the traffic data firm Inrix. After a decrease in traffic during the recession which began in 2008, traffic is back. Though it may be a burden for motorists, it could also suggest a reviving economy. 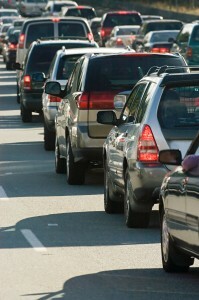 Traffic congestion grew 6% from 2012 to 2013 after declining from 2010-2012. Among the top ten most congested cities in the country, only Washington, D.C. saw a decrease in traffic, of just 1%. The rest of the cities in the top ten all saw increases, and four saw double digit increases. The findings were “based on the number of hours the average commuter spends annually stuck in traffic.” Los Angeles, already the most congested city in the U.S., saw an 8.5% increase in traffic. On the east coast, New York had a 9% increase in traffic, and Boston had a whopping 22% increase in traffic.